We had breakfast at the Surf Club on East Beach in Port Fairy. It was a magical view out to sea and the light house. After a final stop in town for some last-minute souvenirs, we began making our way to Mount Gambier. Slabs had asked the lady at the motel what there was to see or do on the way. She said, “nothing”. It certainly looked that way. There weren’t any tourist brochures overflowing with information on place to stop on this drive, so we figured that she was right. We did see a wind farm offering tours, and we could have called in to Portland, but we wanted to get to Mount Gambier early enough to see some things. We could see Portland from the highway. It looked like a giant port (strangely enough, given the name) and a mass of huge turbines or towers. What I didn’t get was why the highway goes so far out of its way to go close to Portland but doesn’t actually go to the town. Apparently Portland is the oldest European settlement in Victoria, and is home to a large wind farm project. Anyway, we didn’t go there. Driving along the Princes Highway it became very foggy, which was just like being at home. Then we got stuck in roadworks, so tantalisingly close to the South Australian border. I decided that one job I don’t ever want is to be driving the vehicle that leads all the other vehicles through the roadworks, back and forth each way, all day. Our first stop in Mount Gambier was the tourist centre, which has a free exhibition of local history and geography, including a very cool volcano eruption that Kramstable set off over and over again. We got some ideas of what to do while we’re here, and we set off for the Engelbrecht Cave, which sounded interesting. We thought we’d be just in time for the 1 pm tour. We hadn’t set our clocks back half an hour had we? We went to have lunch instead. Just quietly, my laksa was really really good. After lunch we headed back to the Engelbrecht Cave, which is a fascinating place. It used to be owned by Johann Karl Engelbrecht, who had opened the first bacon and ham factory in Mount Gambier, as well as a distillery, which he had purchased and had sent out from Europe. Due to public health concerns about the waste from the distillery, he began using the cave as a dump for the by-products (the staining from which you can still see in the cave), as well as allowing local butchers to dump bones and meat offcuts into it. Over the years it was increasingly used as a dump and it wasn’t until the late 1970s when volunteers began to clean up the mess (which was huge by this point) and made it possible for people to go inside. The cave is in a sinkhole, which is a common feature of the landscape around the Mount Gambier area. On the way down to the entrance, you can see a couple of solution pipes, which are are almost perfectly round holes in the ground. The cave itself really big and spreads a long way underground, including under the highway, but most of it is underwater and can only be accessed by very experienced cave divers (it takes 6 years of training to get to the level where you can go into this cave). I found the whole area fascinating and, coming from an area where caves are found in very remote areas, I was blown away by the fact that this cave is under the city itself. Our next stop was the Blue Lake, just out of town. This is the one I remember being such a vivid blue from my childhood trip here. Unfortunately, the blue colour is at its most intense in summer and about March each year it slowly returns to a grey colour. This is apparently due to the calcium carbonate crystals forming in the warmer weather and scattering blue wavelength light whereas in the colder months, everything is more evenly distributed so colour is a more normal lake colour. Today it was blue, but not brilliantly so. Blue Lake is one of four crater lakes in the area that I remember seeing when I was here in 1979. Apparently one of them, Browne’s Lake, is now dry. We were a bit disappointed by the views in the late afternoon sun (are you detecting a theme here) but decided to come back in the morning to see if we could get a better look. On the way back, we called into the Main Corner complex town and had a look at the art gallery and the history displays. There’s a garden in a sinkhole there too, which we’d been told to go and see, but it was all closed, so all we could do is look down into it. It’s been an interesting day in a fascinating landscape. It’s now less than 3 weeks to the start of the Walk in Her Shoes Challenge on 16 March. I’ve signed up for the “Gold” level, which is 20,000 steps a day – the same as I signed up for last year. Before I signed up I’d set myself a 15,000-step goal each day, but I wasn’t achieving it very often. I decided to lower my expectations (I know. This is unheard of, right?) and drop it back to 12,000 steps. Not only that, I made it an average daily step count over a week, rather than an absolute goal. So all I really wanted to make sure I did was a minimum of 10,000 steps a day, which seems to be the generally agreed minimum for reasonable health. 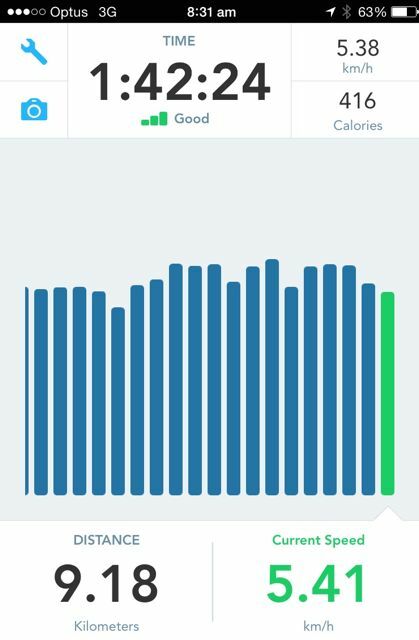 I think reducing the target helped, because instead of every day having nothing in the “step goal” box and feeling miserable about that, most days I’d have a tick in there, which then made me feel a whole lot more positive. That encouraged me to increase the target once I’d started achieving it regularly. Since then I’ve gradually built up my daily step target. This week I’m aiming for 19,000 steps a day, which is just 1,000 fewer steps than my Walk in Her Shoes Challenge goal. So far, 3 days in, I’ve done it reasonably easily (if getting up at 5am to go for a walk is ever easy*), so I’m already looking ahead to my 25,000 step “stretch goal”. While I was doing walks at lunchtime, when it’s relatively warm and I need to have some water, I got really annoyed by my shoulder bag flapping against me as I was walking. 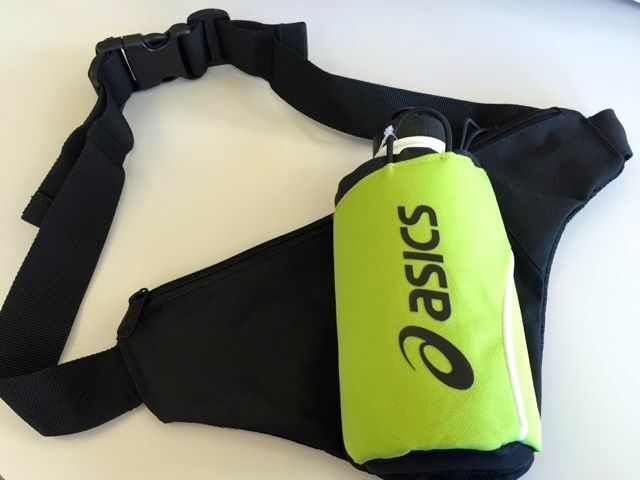 I thought it would be great to have some kind of holster thing that I could strap to my leg and have easy, non-flappy, access to my water bottle. Most of the solutions I found online seemed excessively expensive and hard-core for what I needed, but after an extensive search of sports shops and outdoor shops in Hobart I found a reasonable compromise without the hefty price tag. I set a new personal best. Yay. 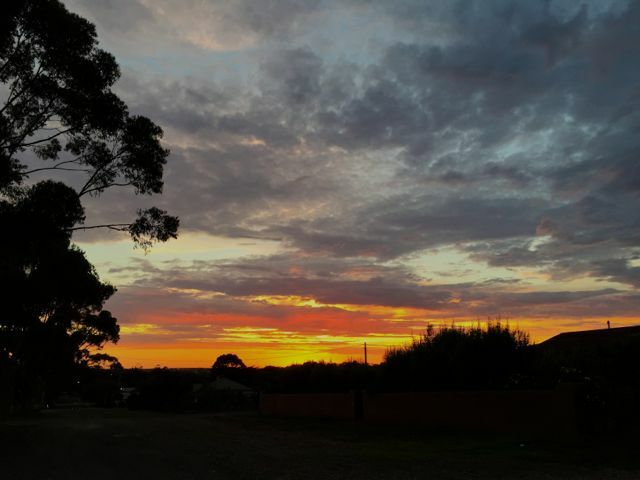 I saw a beautiful sunrise in Bacchus Marsh. 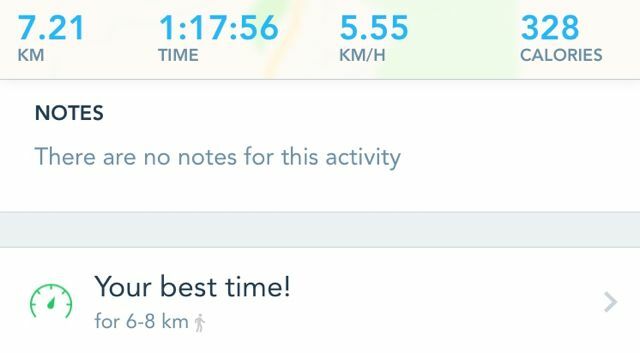 I did my longest walk since my 12.2 km walk last year. 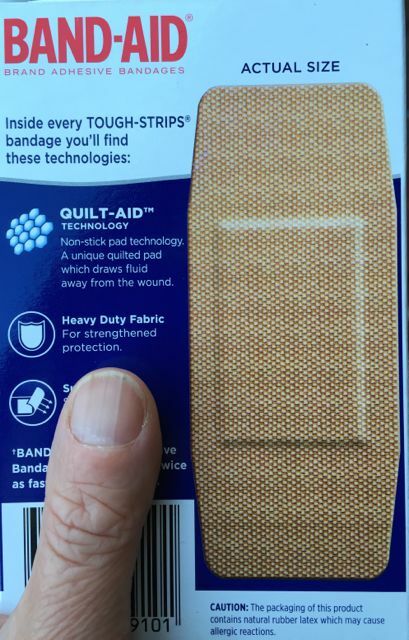 I’ve been battling blisters that haven’t been sure whether they are blisters or callouses. It’s been rather painful to walk the last week or so. 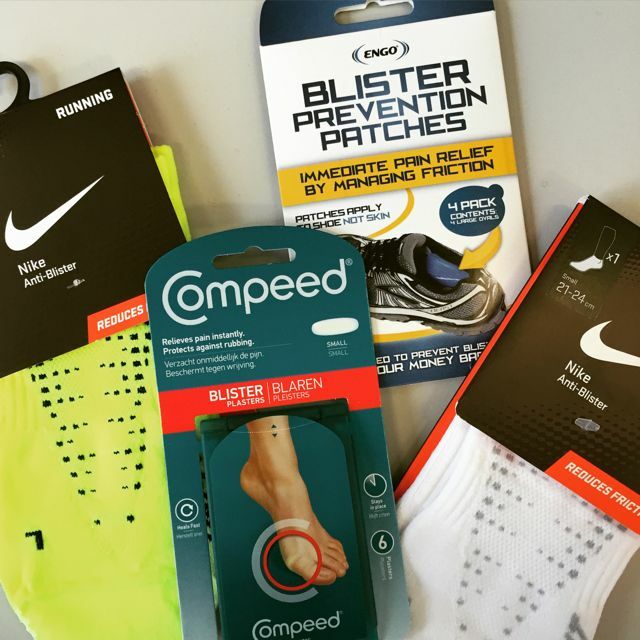 I got all the anti-blister things to try and sort this out once and for all. The latest recommendation from the chemist has been these, with paw paw to soften the callouses. Note “actual size”. And finally, I was interviewed by our local paper about participating in the challenge, and they sent a photographer out to take some photos of me walking to go with the article. Some of the photos were very silly, so I’m sure one of those will be what they’ll use if they go ahead with the story. Please don’t laugh at me if you see it. OK. 19,000 steps. Focus. Walk. Try to go to bed a bit earlier.